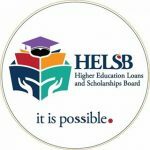 The Higher Education Loans and Scholarships Board (HELSB) was established by the Higher Education Loans and Scholarships Act No. 31 of 2016 to provide for the granting, administration, investment, payment and recovery of loans; provide for the administration and granting of scholarships; facilitate the mobilization of financial resources for loans and scholarships; and provide for matters connected with or incidental to the foregoing. In fulfilling its mandate, HELSB wishes to fill the position of Manager – Audit and Risk. The successful candidate will be expected to demonstrate high levels of requisite competencies. To manage internal audit operations and implementation of risk management systems in order to ensure accountability and effective utilization of the Board’s resources. Full Grade 12/ Form 5 Certificate with minimum of credits in English and Mathamatics. Member of Institute of Internal Auditors, ZICA, ACCA, CIMA, CISA and IRM. 6 years of which 3 should be in a senior internal audit and risk management position. Ability to communicate fluently in English to different categories of staff and other clients. Scholarships Board, Room 5, Maxwell House, Annex Building, Los Angeles Boulevard, Longacres, Lusaka. The closing date for receipt of applications is Thursday, 18th April 2019.